What's new in Lexington, Kentucky? Tourism Information. New attractions, new initiatives, new ideas for ways to explore Lexington and the Bluegrass Region! In Lexington we are deeply rooted in our heritage and traditions, but we never stand still! If you are on the hunt for new restaurants to try, click here. 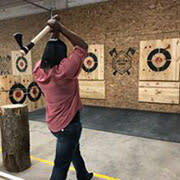 Looking for an axe-throwing, beer drinking venue? Lexington has that! Head down to the Distillery District and try out one of the area&apos;s newest entertainment options, Battle Axes. Located in the rickhouse that was once part of the James E. Pepper distillery, this is the place for casual throwing, league play, corporate events, and private parties. They carry almost 60 canned beers and ciders (half of which are Kentucky Proud) plus soda, bottled water, and snack foods. The guest experience is now available to the public at Castle & Key Distillery. Reserve a tour online. Visitors to Castle & Key will have the opportunity to listen to the rich history the grounds have to tell, and taste the fine products it distills. Bourbon is still aging to perfection, but other spirits are ready for tasting! Experience the scenic drive down McCracken Pike to reach the newly renovated Castle & Key Distillery and check out the stunningly beautiful 113-acre property. 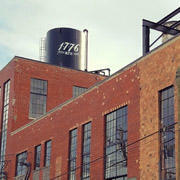 Check out the newly renovated James E. Pepper Distillery in the popular Distillery District. The Pepper family brand continues its work after generations of distilling; the original batch was created during the American Revolution. Take a tour and witness how they craft their Whiskey and Bourbon Ale and learn about James E. Pepper himself. Book your tour online. On the banks of Town Creek and surrounding by bars and restaurants, you have lots of options for activities before or after your tour. 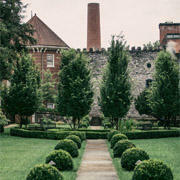 Dive into history and heritage with an array of unique Kentucky tours offered by a new company: Stone Fences Tours. 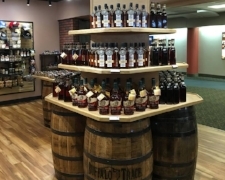 Choose from bourbon, beer, horse and specialty tours to learn more about the Commonwealth. The goal of Stone FencesTours is to educate and entertain their guests. Do not be alarmed if these research-based tours make you laugh! 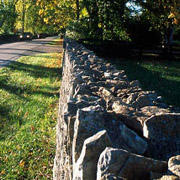 Experience Stone Fences Tours to learn more about Kentucky’s history. The historic and spectacular Boone Creek gorge is now open to the public! 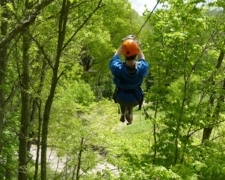 The Boone Creek Outdoors Zip Line Canopy Tour allows guests to experience the natural beauty of the unique area – featuring 6 zip lines, 3 sky bridges and more! Conveniently located just off I-75 at exit 99 and Old Richmond Road. Head out to Boone Creek Outdoors for a thrilling adventure through the beautiful gorge and palisades river region. Flying in or out of Lexington, KY? Be sure to check out Cork & Barrel! They have opened their second location at the Blue Grass Airport, conveniently located post-security in the gate area of the airport. With more than 100 bourbons in the shop, passengers will be able to travel with the finest spirits from Kentucky&apos;s distilleries. For more information on the store check out the Cork & Barrel website! The Summit at Fritz Farm is now open! Additional stores and restaurants are opening throughout the Fall. 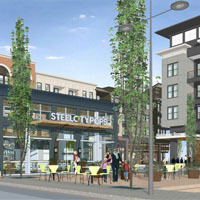 The Summit is a Festival Zone, and when complete will have more than 60 shops and Kentucky&apos;s first food hall. The Summit at Fritz Farm is a finely curated mixed-use destination infused with the essence and style of Lexington, KY. Blending retail, office space, a boutique hotel and a residential component, The Summit at Fritz Farm is a first-class destination for visitors looking for a unique shopping and dining experience. The Barn at The Summit is Kentucky&apos;s first Food Hall and features an all-local, independent lineup including Atomic Ramen, Crank and Boom, Athenian Grill, Whiskey Bear, Kentucky 4 Kentucky, Pasture by Marksbury Farm and Smithtown Seafood.